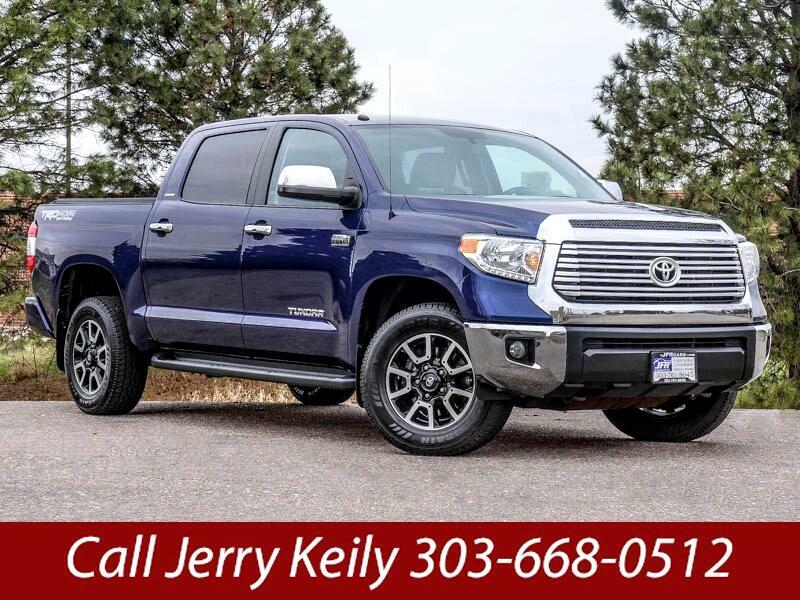 Used 2015 Toyota Tundra Limited TRD Crew for Sale in Littleton CO 80120 JFR & Associates, Inc.
Toyota knows how to build a capable workhorse when it comes to full-size trucks, and build one of the few trucks that are very serious about off-road performance. The V8 engine offers plenty of power when you need it most. Whether you're merging in traffic or blazing new trails in the mountains, you won't be disappointed with this powerhouse. You'll appreciate how easy this truck drives and handles. It is also a champ when it comes to towing. This Toyota Tundra comes with a variety of options like leather seats, navigation, a backup camera, Bluetooth integration, deep tinted glass, Satellite Radio, keyless entry, running boards, heated seats, sunroof, plus lots more to make your driving experience more enjoyable. You are cordially invited to take this Toyota Tundra for or a test drive and discover for yourself why this pickup is so popular. Contact us today and schedule your test drive. Call Jerry Keily at 303-668-0512 for more information or if you would like to schedule a test drive. We take trade-ins and offer financing with approved credit.